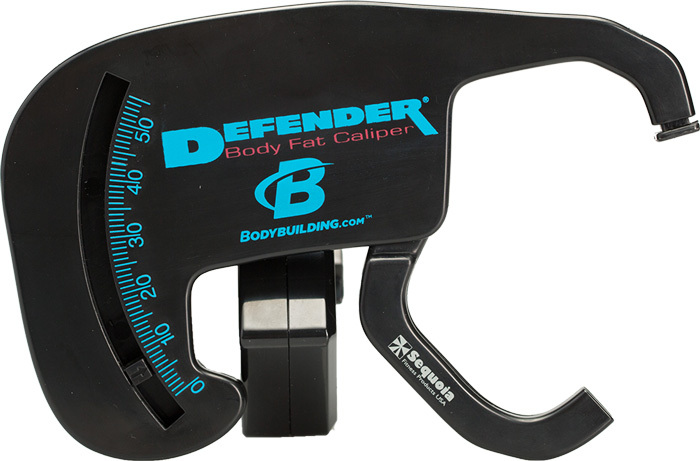 Defend yourself against fat with the Bodybuilding.com Defender Body Fat Caliper. Can you meet the military standards for physical readiness? Lose and measure your fat loss now - get physically stronger - and win the fat war today! The Defender Body Fat Results Wheel makes it easy to calculate your body fat. Simply line up your age with the total of your readings and your body fat% appears in the window. No charts or formulas are required! The only way to ensure accuracy of a caliper is to have the correct amount of pressure on the measurement site. How do you know when you have the right pressure? 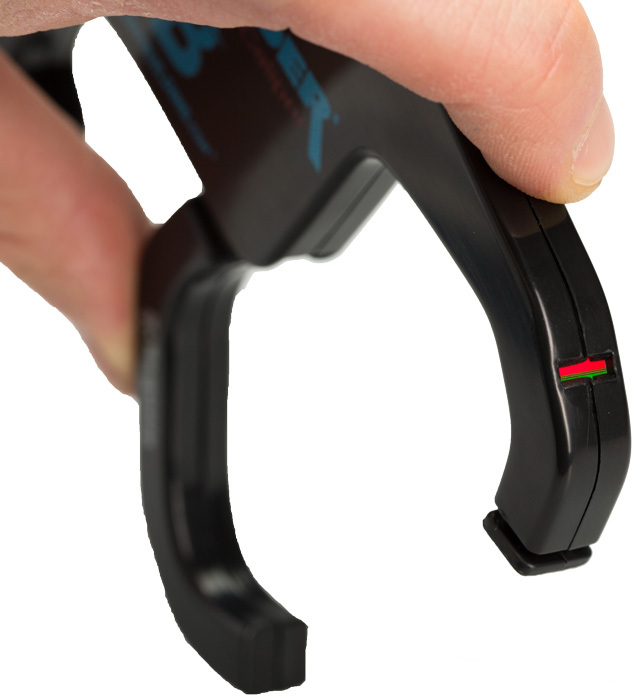 The Defender Visual Pressure Indicator turns from Red to Green when you have the correct reading - ensuring superior performance.